4) vert top auto close via fob. Here's a pic if you don't go to my Project Thread. That's a good day's work right there! 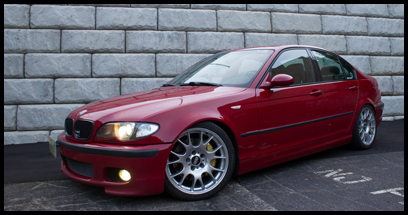 Nothing to my ZHP, but I did help another ZHP owner install Orion Predator Angel Eyes on his IR sedan. He was very happy with the result. that looks dope Rando, nice work! Thanks. It was fun doing and I love the results. The poor cell phone pic doesn't do it justice. Thanks JP. I'll probably change out my paddle shifters to something that complements my interior better. For those of you who remember me getting stuck last week going up my dads driveway, here's the video where you can see the whole mountain I have to go up. I wish his camper wasn't blocking the view at the end. It's pretty wild for an NEPA view. 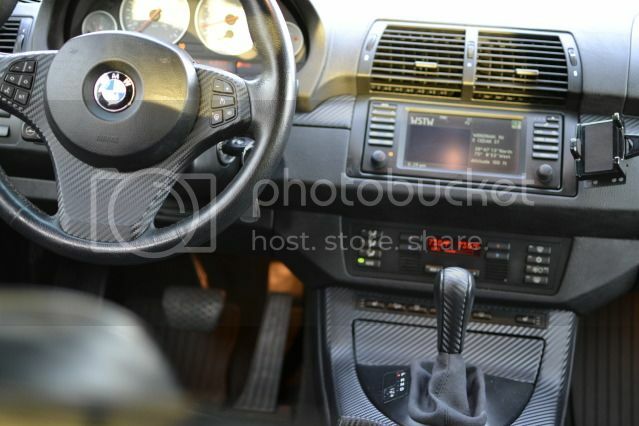 Here's a pic of it in the X5. I did this last spring to cover all the wood trim. It's a raised vinyl sheet that looks like CF. If you get sick of it or you need to get it back to stock, you just peel it off. Last edited by Sockethead; 01-07-2013 at 05:41 AM.